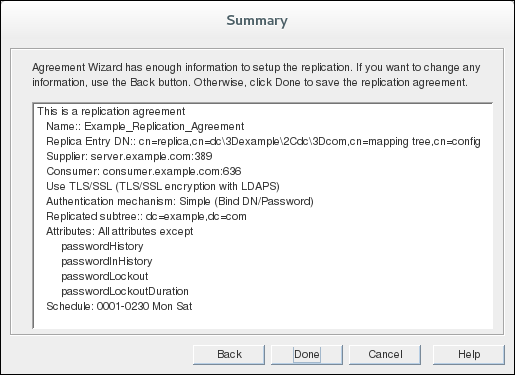 Red Hat recommends setting the maximum changelog age to 7 days. 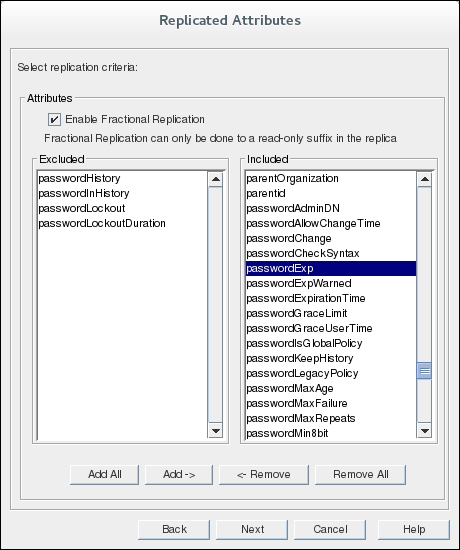 In the navigation tree, expand the Replication folder, and select the replica database. 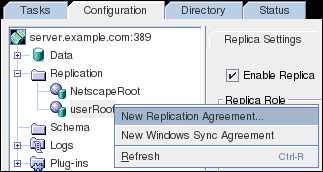 If you want to replicate the o=NetscapeRoot database, see Section 15.21, “Replicating o=NetscapeRoot for Administration Server Failover”. 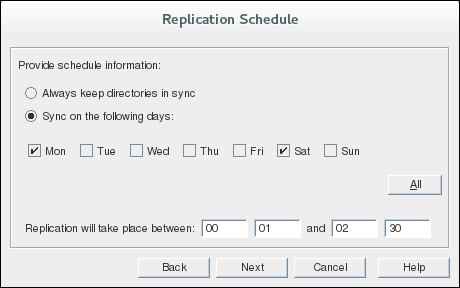 In the Replica Settings tab of the selected database, check the Enable Replica check box. The supplier bind DN should be the entry created in step 2. The supplier bind DN is a privileged user because it is not subject to access control. 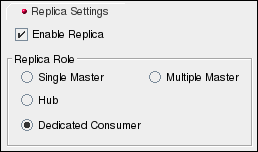 On the supplier, create one replication agreement for each read-only replica. 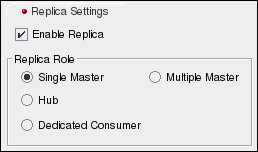 For example, in the scenario illustrated in Figure 15.1, “Single-Master Replication”, Server A has two replication agreements, one for Server B and one for Server C.
Unless there is more than one instance of Directory Server configured, by default, there are no consumers available in the drop-down menu. SASL/DIGEST-MD5, like simple authentication, this insecure method requires only the bind DN and password to authenticate. 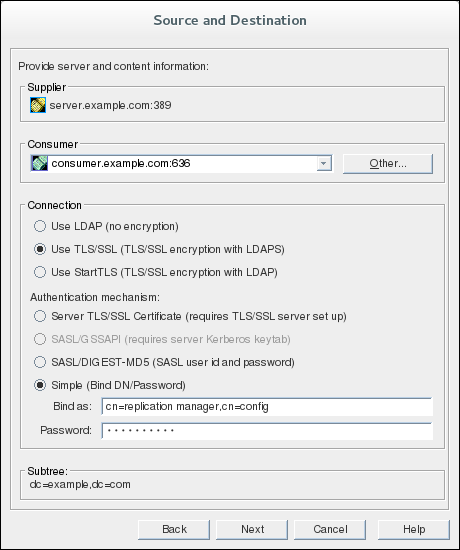 This can run over a standard or TLS connection. 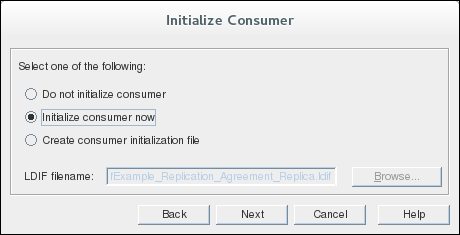 Select Initialize consumer now, to start initializing after the replication agreement was completed, and click Next. For further details on initializing consumers, see Section 15.17, “Initializing Consumers”.